C.O.P.E. (Cooperative Outreach for Personal Emergencies) was inspired by the Community Service Committee of Central Christian Church. In 1983, CCC along with 12 other local churches organized and founded Robertson County's first store-front ministry. C.O.P.E. 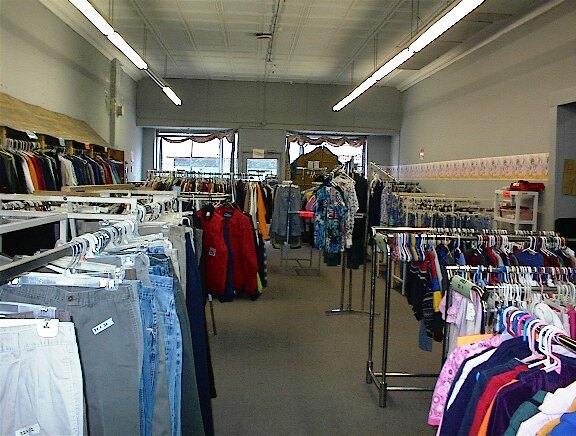 provides emergency funding for rent and utilities as well as very low-cost clothing for needy families in Robertson County. COPE INC. location is 810 South Main St. Springfield, TN. 37172 Phone Number: 615-384-1465. CCC sponsors C.O.P.E. 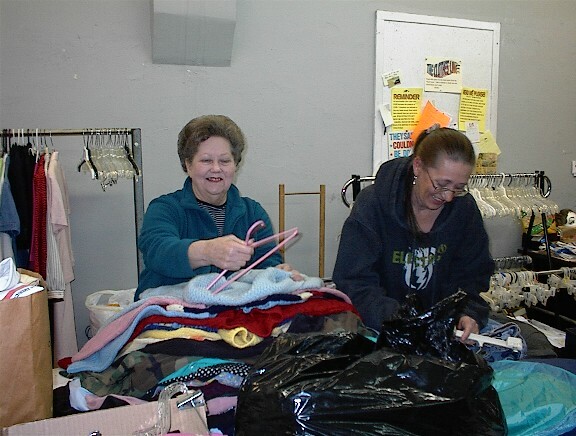 volunteers who work the desk, sort and display clothing, and conduct client interviews. CCC is also represented on the Board of C.O.P.E. 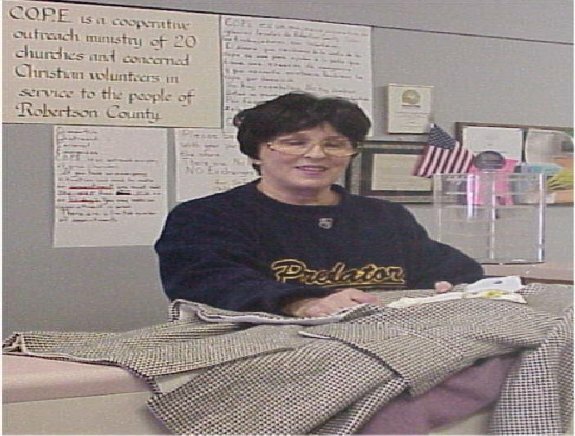 by volunteers who devote time to the organizational work at C.O.P.E. The volunteer spirit at Central Christian Church is alive and making a difference in Springfield, Tennessee. If you would like to be a part of this exciting and vital ministry, contact the Central Christian Church. Three of Central Christian Church members are in these pictures, Ann Darden, Charlotte Bell and Betsy Felts. Cashier are Helen Collier and Luri Murphey. In 1989, Central Christian was instrumental in establishing United Ministries, an organization dedicated to feeding the poor and hungry in Robertson County. CCC, through a joint effort with two area Catholic Churches, made the idea of establishing a food pantry a reality. People in emergency situations, the aged, single mothers and the working poor were targeted for help. Today United Ministries is supported by FEMA, United Way, and Second Harvest Food Bank. U.M. is operated solely by volunteers from local churches and concerned citizens. 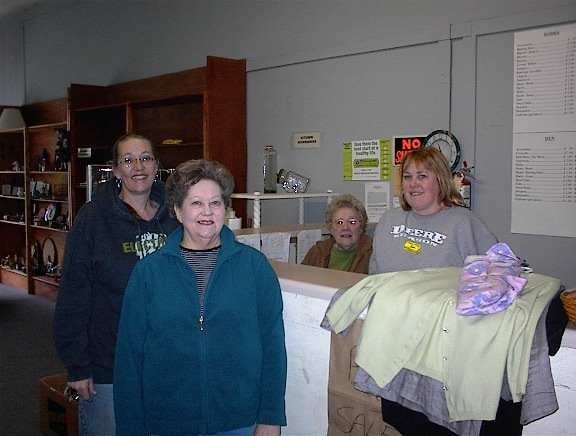 Central Christian Church provides volunteers who sort and bag groceries, load and stock supplies, and serve on the Board of United Ministries.